This year's High School Spring Musical is Annie Get Your Gun, the classic American musical based on the life and legend of Wild West sharpshooter Annie Oakley and featuring songs by the incomparable Irving Berlin. 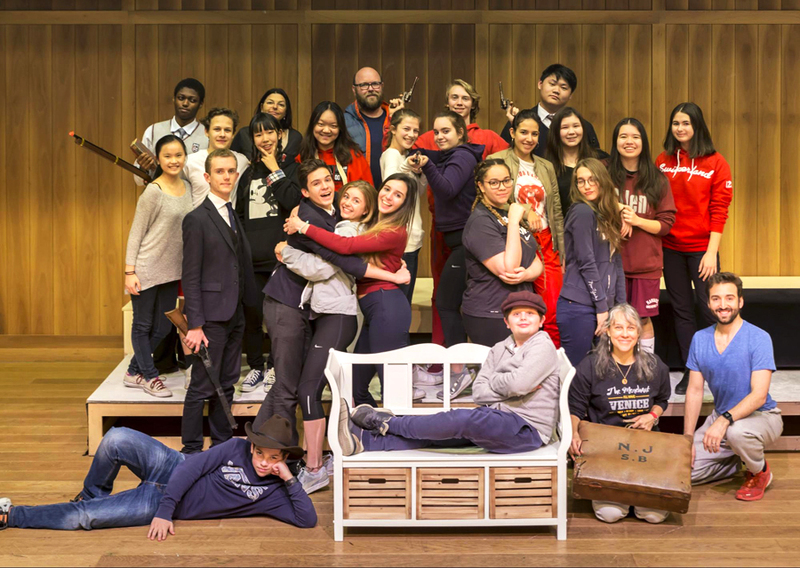 Directed by Ms. Valerie Bijur Carlson, the show will be performed in the Palmer Center the weekend of April 13–15, with a special Sunday matinee geared toward families. To learn more about the show and reserve your seats, visit tasis.ch/anniegetyourgun. Annie Oakley is the best shot in Darke County, Ohio, and she manages to support her little brother and sisters by selling the game she hunts. When she's discovered at a shooting contest, Col. Buffalo Bill persuades her to join his Wild West Show (“There’s No Business Like Show Business”). It only takes one glance for her to fall head over heels for dashing Frank Butler, who headlines the show. She soon eclipses Butler as the main attraction, which, while good for business, is bad for romance (“Anything You Can Do, I Can Do Better”). Butler hightails it to join a rival show, his bruised male ego leading the way, but is ultimately pitted against Annie in a final shoot-out. While highly fictionalized, the musical pays affectionate and humorous tribute to the real-life stars of Buffalo Bill’s Wild West Show and the love match (as well as the shooting match!) of Annie Oakley and Frank Butler. 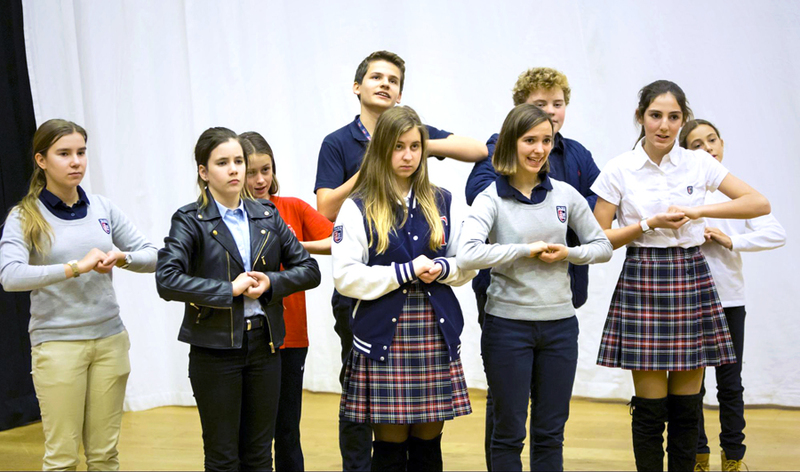 The Middle School Spring Musical will be Disney's Beauty and the Beast JR., which is based on the Academy Award-winning motion picture and the original Broadway production that ran for more than 13 years and was nominated for nine Tony Awards. The show is directed by Mr. Matthew Frazier-Smith and will be performed in the Palmer Center on the evenings of May 18–19 and on the afternoon of May 20. Seats can be reserved at tasis.ch/beast. Beauty and the Beast JR. is a compelling adaptation of the classic story of transformation and tolerance. The musical features some of the most popular songs ever written by Alan Menken and the late Howard Ashman, along with new songs by Menken and Tim Rice. The story revolves around Belle, a young woman in a provincial town, and the Beast, who is really a young prince trapped under the spell of an enchantress. If the Beast can learn to love and be loved, the curse will end and he will be transformed to his former self. But time is running out. If the Beast does not learn his lesson soon, he and his household will be doomed forever. Cry Wolf—an original production written by Stephanie Figer, TJ Liquori, and Michael Rosenbaum, three veteran members of the TASIS Summer Programs' Dedicated Performing Arts Team (DPAT)—will enjoy its world premiere in the Palmer Center on the evening of Thursday, May 31, at 19:00. This year’s Elementary School Musical, which will also be directed by Mr. Frazier-Smith, will be performed again at 19:00 the following evening. Registration for the show has not opened yet but will soon be available at tasis.ch/crywolf.